This morning I walked out on the deck. The air was cool and the cloud streaked sky reminded me of a morning in Rome. On days like this I find myself walking to the bookshelf and choosing one of the many journals I kept while living in Italy. Randomly reading through the daily entries brings me great joy and allows me to re-experience a trip now almost two years in the past. Whether you’re going for a week or staying for an extended time I urge you to take a few minutes every day to jot down an impression of your visit. Noting a place you’ve visited, a person you’ve met, a meal you’ve experienced is something you will be thankful for when you get home. 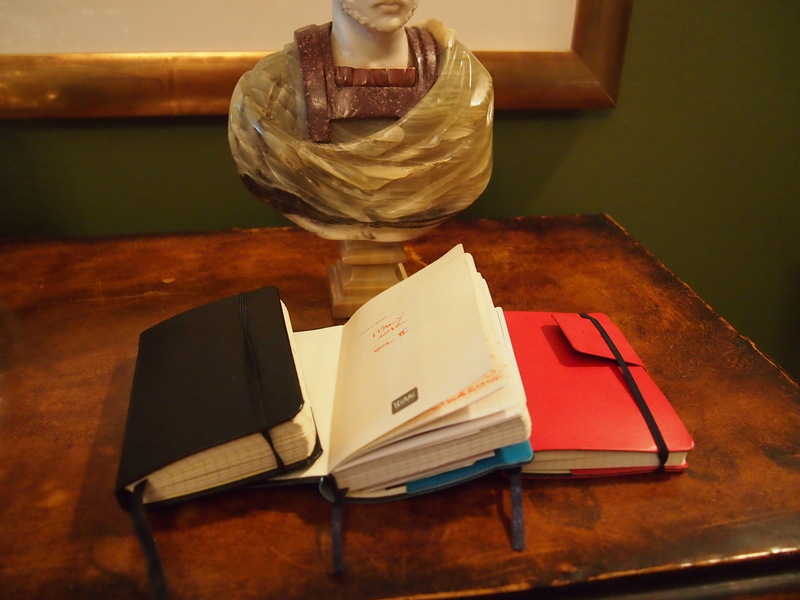 Choosing a journal is also a great way to get out and about. Visiting the shops that sell amazing varieties of paper, beautiful pens, leather bound journals can be a fun way to create your own walking tour and usually will take you to neighborhoods you may overlook. From higher end stores like Fabriano to the creative and colorful options at the larger bookstores such as Feltrinelli there is something for everyone. Keeping a journal is one of the best gifts you can give yourself!!!!! Agreed! All it take is a few lines to capture even a small moment that might well be forgotten a couple of weeks down the line.